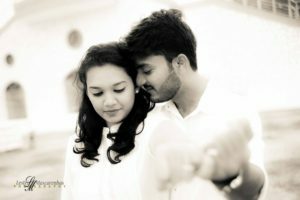 Thank you for the photography/videography for our wedding, roce, portone and the pre wedding shoot. 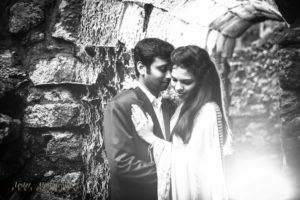 We werent keen on doing the pre-wedding shoot due to lack of time. You pushed us to do it, and thanks for that. I am not a natural smiler :). However, through this shoot, we got ourselves very comfortable with the camera and with each other. We were able to communicate our requirements very clearly to you too. Inspite of your busy schedule you came personally for the roce. The briefing with the couple and entourage on the roce day set the expectations and timelines right, the benefits of which were seen in the fact that we started the mass sharp on time and the reception as early as 7.15 PM (on a WEEKDAY!!!). we the couple, their families and the entourage knew exactly what was expected of them. It was quite a tough choice for Dominic and me while we were looking for a photographer as we were planning our wedding, considering the fact that we lived in different cities. After talking to at least 10-12 photographers and analyzing their quotations and their work, we were almost going crazy. And then we stumbled upon your website. Every email and phone call exchanged – I would say – reinstated our faith, yet we knew the real work began on Our Big Day. We were nervous and we knew there will be no retakes. On behalf of both of us, our bridal entourage and our families, THANK YOU. You put us at ease and I must say we forgot half the wedding day jitters with you and your team around. We were so comfortable, we laughed so much and I think it all shows in our pictures. Thank you everyone at Team Lester Mascarenhas Photography . You guys are awesome. And THE BEST I have ever come across so far. In terms of your fee charged, In terms of professionalism and in terms of creativity and the services provided – THE BEST ! Thank You for making us look so lovely and beautiful. Thank you for making our wedding so memorable. We will always look back at these photographs and remember that you helped us cherish them with your lovely work. Thank you Lester. 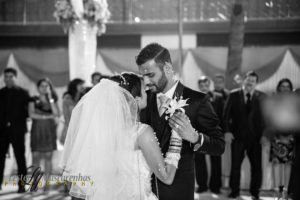 Definitely recommending you as the best photographer in Mumbai ! So today i went to a photo studio (navrang studio at Hiranandani powai) to get some prints of pictures taken by Lester Mascarenhas and Celestina Mascarenhas. At 1st the guy at the studio asked me which camera was it, i shrugged my shoulders. Next he commented saying it must be a Canon, again i shrugged my shoulders. And finally came the ultimate compliment, this photographer is good… and i stood there beaming as if it was i that he referred to. Thank you lester and celest for capturing our precious moments.